"If you say his name, or even think it, he'll come for you…" STX Entertainment has unveiled the full trailer for horror thriller The Bye Bye Man, now arriving in theaters this December. Directed by Stacy Title, the film is about three friends who encounter the "Bye Bye Man", a very creepy, mysterious evil "person" that is played by Doug Jones. The primary cast also includes Douglas Smith, Lucien Laviscount, Cressida Bonas, Michael Trucco, Erica Tremblay, Cleo King and Faye Dunaway. This seems to be based on some folklore tale and combines some elements of other horror, a bit of Final Destination and Sinister and even A Nightmare on Elm Street. This looks creepy, of course, but I'm not sure it'll be any good. Take a look. 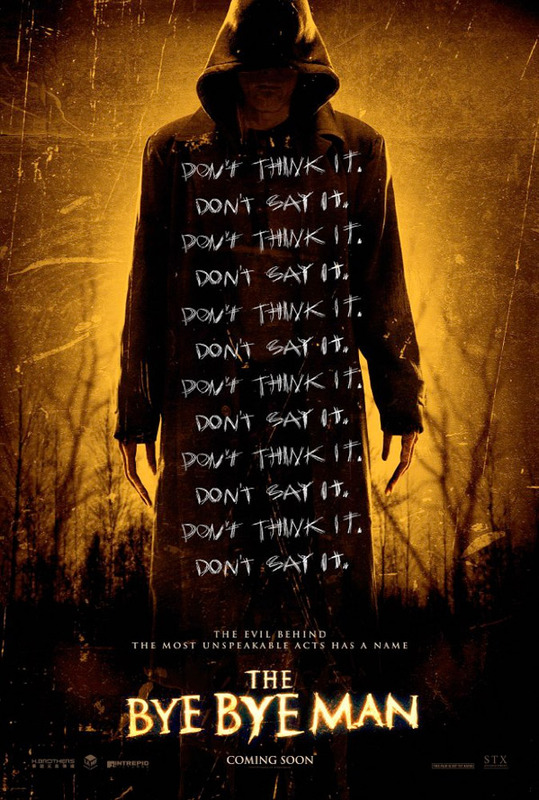 When three college students move into an old house off campus, they unwittingly unleash a supernatural entity known as The Bye Bye Man, who comes to prey upon them once they discover his name. The friends must try to save each other, all the while keeping The Bye Bye Man's existence a secret to save others from the same deadly fate. The Bye Bye Man is directed by American filmmaker Stacy Title, of The Last Supper, Let the Devil Wear Black and Snoop Dogg's Hood of Horror previously. The screenplay is written by Title's husband Jonathan Penner, based on a short story by Robert Damon Schneck. STX Entertainment will release The Bye Bye Man in theaters starting on December 9th later this year. Who wants to see this? Doug Jones is as good as Sirkis. He needs better exposure. So basically this is Slenderman the movie. No? Slenderman abducts children. And you don't say Slenderman or think about Slenderman and he appears. It looks like Slenderman...it behaves like Slenderman. Don't tell me they weren't at least inspired by the idea of a guy who lurks on the horizon only to get closer and closer as you look at him. Looks horrible. Terrible use of Doug Jones. Bye Bye man...What a stupid title. A scarecrow is scarier than this BBman.